In the black continent, where the intellectual prowess of women is yet to be fully acknowledged and accepted as a tool for societal development, only a few members of the male gender openly encourage and support females in the face of hostilities associated with gender imbalance in the society. Paul Usoro, SAN, a distinguished gentleman and one of Nigeria’s finest Lawyers, is one of such supportive males. Paul Usoro is a Senior Advocate of Nigeria, an ICT Law Expert who is not just recognized as an outstanding brain from which most legal minds are to tap from, he is a figure who represents a true manifestation of the modern day advocacy of gender equality. This is as a result of his massive contributions to the development of the legal profession on both sides of the divide. Last October, the learned silk justified the thoughts of observers when he donated the sum of one million naira to the Rivers State branch of the African Women Lawyers Association during its first anniversary. According to him, there are dividends when women are empowered and occupy positions of authority; women have the potentials to drive positive societal changes if only they are given the ample opportunity. Giving equal opportunity to women didn’t just happen upon him. In his firm, they hold principal roles. Asides his wife, Mfon who is a Managing Partner, Adetola Bucknor joined Paul Usoro & Co. in 2008 as a Junior Associate, fresh off National Youth Service Corp. In 2014, she became an Associate Partner in the firm. Again, this development is another demonstration of Usoro’s gender parity agenda. For Adetola, the success of the journey can be attributed to the opportunity Usoro provided. For Usoro, there is no better way of showing it than being an example of it. Like Maya Angelou once said: How important it is for us to recognize and celebrate our heroes and she -roes. “It’s important for us individually and collectively to harness the good in people, encourage them, particularly when they’re good at what they do. Leadership should be based on merit and not on gender or the notion of patriarchy as evident in our society today. We must practice what we preach and that’s why we’re an equal opportunity employer at PUC and we hold that very dear,” he said. Usoro is not only a preacher of women participation in governance, he is as well a contributor to sporting activities amongst male and female lawyers alike: as for nine years and counting, he has been sponsoring male and female lawyers to the IBA yearly which is a fall-out of the Mfon Usoro Tennis cup, nicknamed the largest sporting event among lawyers. LTTO is a Table Tennis tournament open to lawyers from within and outside Lagos. Travel and accommodation cost for out-of-town lawyers are underwritten by PUC. The 9th edition of this tournament was held in October 2017. Indeed, Usoro has proven himself an excellent figure; an icon of gender parity. His strives over the years have never been one sided, they have been all embracing and all admiring. 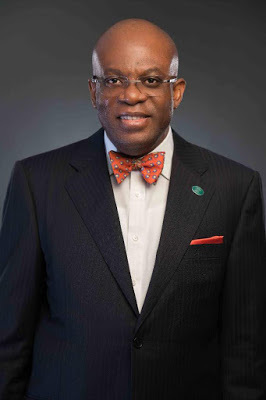 For many who do not know him, Paul Usoro is a telecommunication giant, known for his exceptional drafting and advocacy skills and his philanthropic records throughout Nigeria.